Glossy Accents is a clear, three-dimensional gloss medium. Use to accent, brighten, dimensionalize and magnify distinct areas on any scrapbook page, album cover, rubber stamped image, paper craft or home d?cor project. 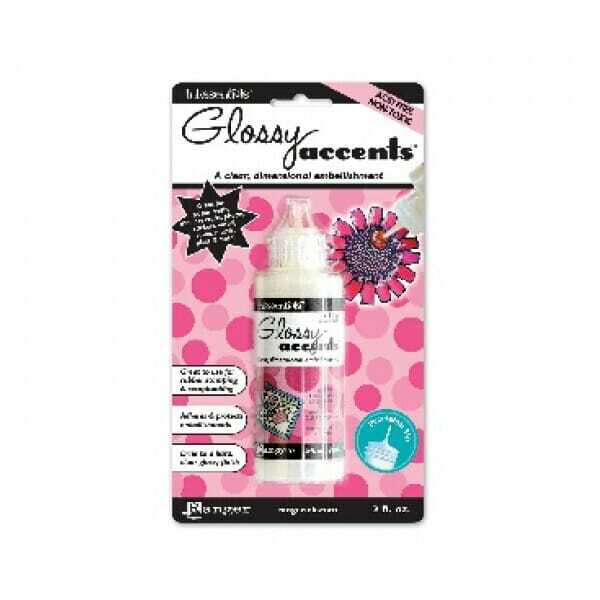 Place Glossy Accents under embellishments to make them stick and on top to protect and glossify! Customer evaluation for "Ranger Ink - BS Glossy Accents"